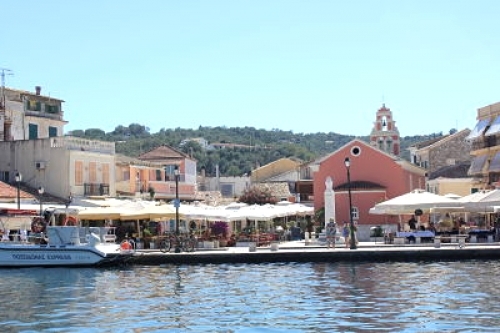 Paxos is a beautiful lush Greek island in the Ionian sea not far from Corfu. We have recently started offering villa holidays on Paxos and the first of the villas is within walking distance of the beach. There is no airport on the island which preserves it! The airport is on Corfu. The major European airports and airlines offer direct flights to Corfu from the end of April to end of October. If you need to make a stop in Athens, you can then use Aegean Airways, Olympic Airways or Sky Express to fly to Corfu. To go to Paxos, you can either stay overnight to visit the city or go directly from the airport of Corfu to the New port of Corfu (15 minutes drive) to catch one of the 2 boat companies sailing to Paxos. In the peak season, there are several boats per day and there might be also water flights but we do not have much information on them yet. The journey takes from 1 hour to 1,5 hours depending on the boat company: Kamelia Lines or Ilida Dolphin. We have 2 villas in Paxos.